The dust is finally beginning to settle after the long-awaited rollout of Penguin 4.0. Now that our aquatic avian friend is a real-time part of the core Google algorithm, we've got some changes to get used to. 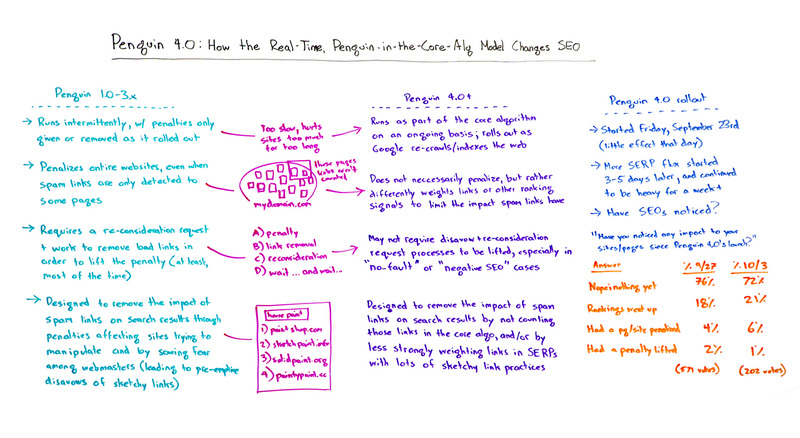 In today's Whiteboard Friday, Rand explains Penguin's past, present, and future, offers his analysis of the rollout so far, and gives advice for going forward (hint: never link spam).